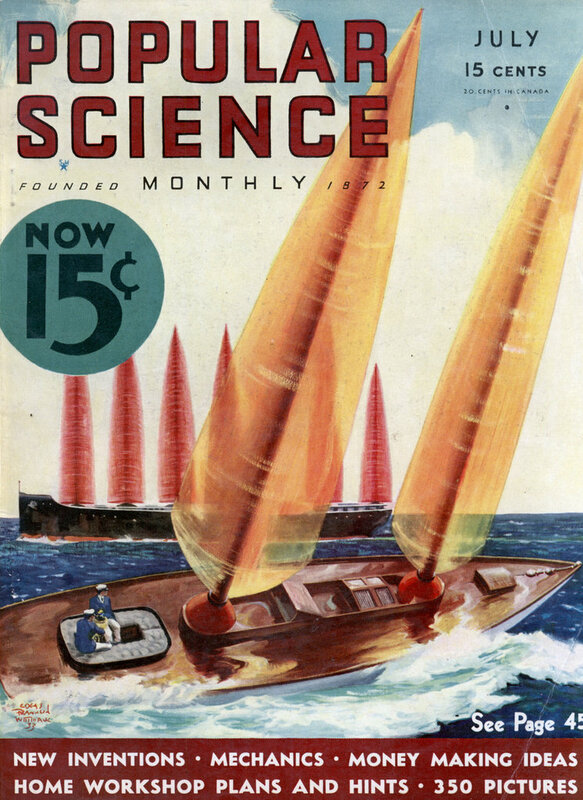 Ambitious seems to be a bit of an understatement. 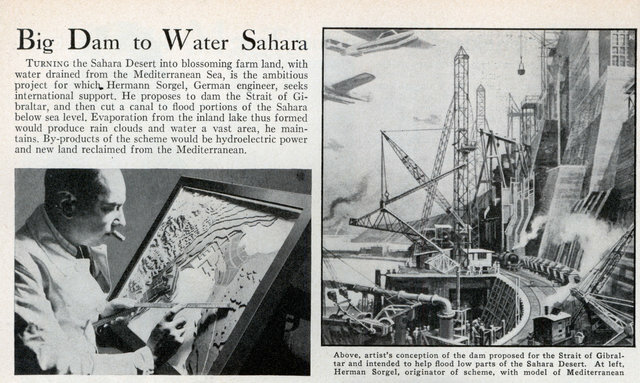 Turning the Sahara Desert into blossoming farm land, with water drained from the Mediterranean Sea, is the ambitious project for which, Hermann Sorgel, German engineer, seeks international support. He proposes to dam the Strait of Gibraltar, and then cut a canal to flood portions of the Sahara below sea level. Evaporation from the inland lake thus formed would produce rain clouds and water a vast area, he maintains. By-products of the scheme would be hydroelectric power and new land reclaimed from the Mediterranean. Except for that annoying Continental Drift that has Africa moving north into Europe it’s a great idea! And the numerous earthquakes in the area, and the political tensions between the UK and Spain, and the fact that the strait is almost 3000 feet deep in places. Also, interestingly, the flow through the Strait is eastward towards the Mediterranean, since the sea loses more through evaporation than it receives from rivers. So a dam would actually cause the level of the Mediterranean to drop and would make it more difficult to flood North Africa.